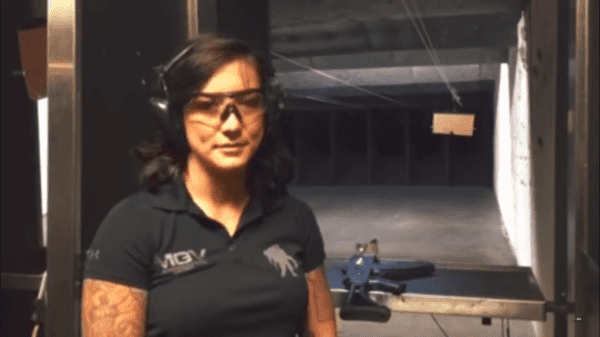 Female Navy veteran Jacqueline Carrizosa’s video on why guns are only tools for killing and that humans are the ones responsible received over 11 million views when first released in 2016. 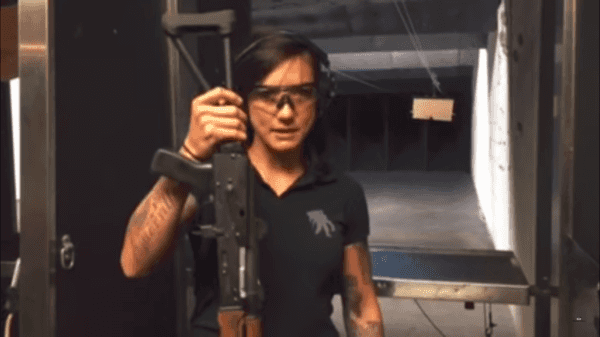 In the video, Carrizosa goes through a step-by-step process of taking a fully automatic rifle and firing it at a gun range. At first, she has the rifle and the loaded magazine separate and places both of them down. She then inserts the magazine into the rifle to load it and then places it down on the table. “Let’s connect a human to the gun,” Carrizosa says before she fires the rifle down range. Carrizosa served in the Navy and was active military duty for four years. She also is a model, gun enthusiast and gun instructor who assisted in the training of over 850 Naval Security personnel with multiple different types of firearms. She was also chosen to work on the 2013 film, “Battleship” for firearms safety, knowledge and naval military presence as an advisor. She worked alongside Rihanna in the film to help her fit into her character. Recently, there has been a lot of controversy surrounding the Second Amendment and how it should be interpreted. America has a long history of being a gun-friendly country where its citizens can freely own firearms. There has been a push to tighten background check standards following a string of shootings. Some feel that people are safer with fewer guns, while others feel that people are safer with more guns. Clearly, Carrizosa feels that expanding gun rights is the key to mitigating gun-related deaths. 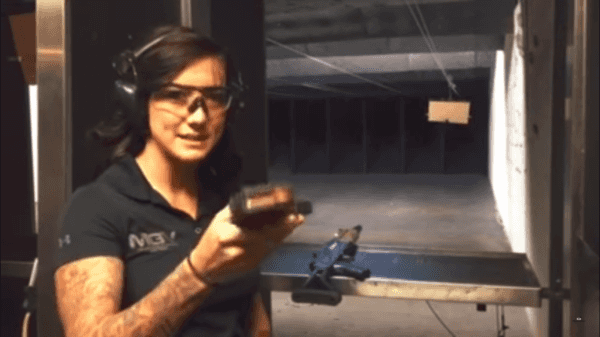 In the video, she presents a simple message that guns aren’t dangerous, but rather people are dangerous. Bad people with guns can be stopped by good people with guns so putting restrictions on gun ownership on good people won’t save any lives. In addition, there has been a trend of terrorists using vehicles to kill people. Essentially, they use a vehicle and drive it through a crowded group of people. In this situation, the vehicle is a tool that is used by a bad individual to cause harm. Some people make the argument that firearms are similar to vehicles in that they are tools to cause harm. Their argument is that bad people are always going to find new tools to cause terror so banning or limiting access to firearms is not going to have a meaningful impact on mitigating preventable deaths in the United States.